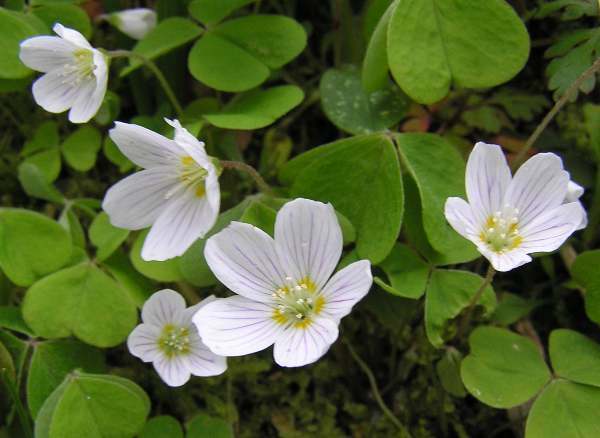 Wood Sorrel is a useful indicator in establishing the age of woodland. It is widespread, but localised, throughout the UK and Ireland but can only be found in ancient and undisturbed locations. This plant is found throughout northern and central European countries including Slovenia. 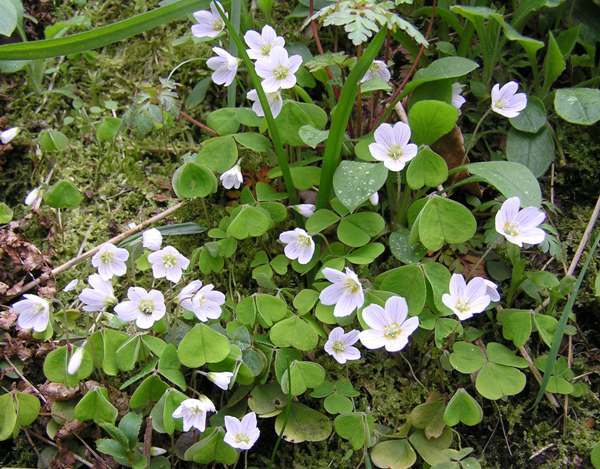 Wood-sorrel and Wood Anemone have similar flowers and bloom around the same time of year - April and May. 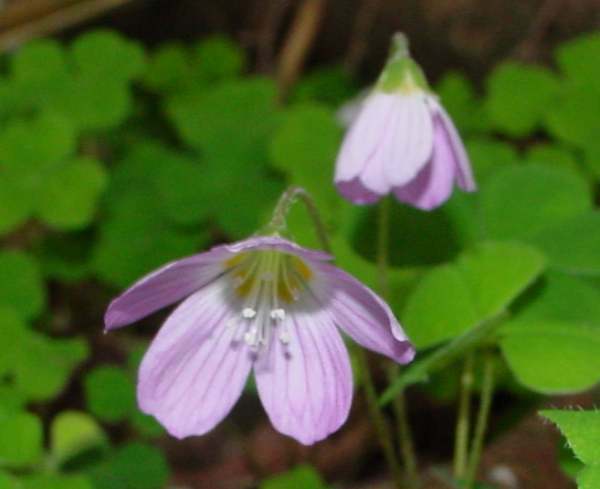 The trefoil leaf of Wood-sorrel distinguishes it from the more abundant Wood Anemone, however. Damp, shady places, beside streams are favoured by this delicate spring flower, which is very tolerant of acid soils. At night, not only do wood-sorrel flowers close (as do wood anemones) but the leaves also fold up, rather like a fan. In well-shaded places, the petals of this delicate flower retain deep pink-purple veins. Once the flowers have died, wood-sorrel plants can be mistaken for clover; the leaves are very similar. The pictures shown on this page were taken in woodland in West Wales in May.